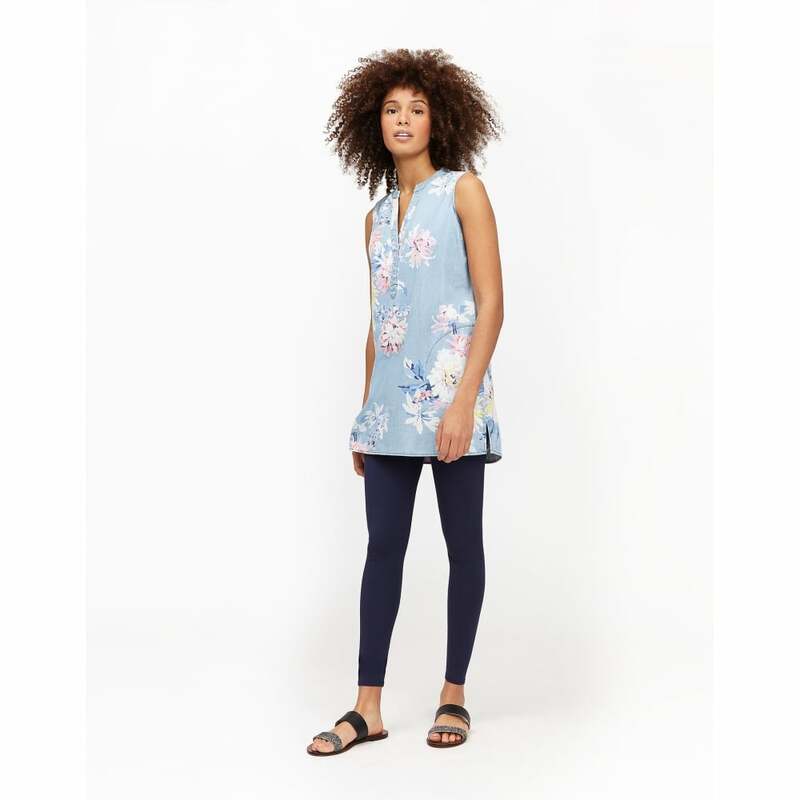 Perfect for taking you from the office to the evening this chambray tunic from Joules is cool and comfortable. A great base item for any outfit it can be paired with jeans or leggings and looks great under a simple cardigan. Featuring a flattering neckline it is sure to be your go-to piece this summer.